The programme is now available for the Morphomata symposium, ‘Creativity of Finding: Figurations of the Quotation’. It runs from the 3 – 5 November 2010 at the University of Cologne. I’ll be speaking on Friday the 5th about “Skeuomorphology and the Evolution of Literary Quotation”. I’ll be speaking at Who’s afraid of…? 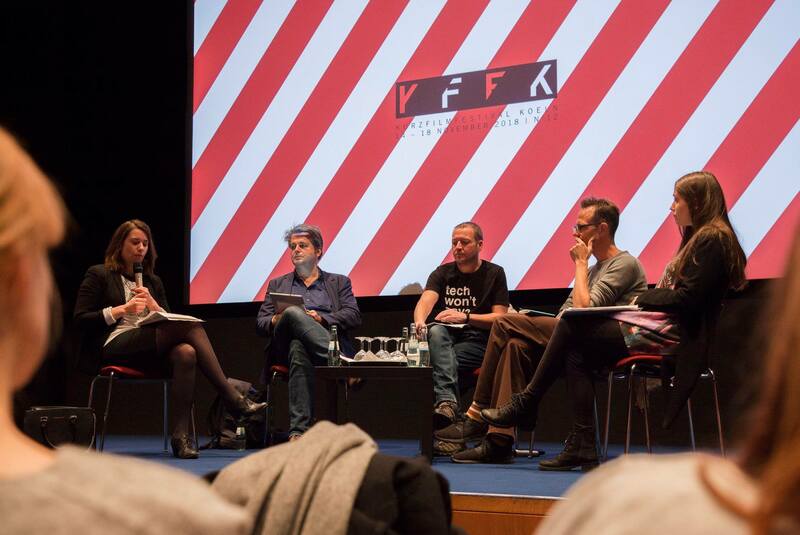 Facets of Fear in Anglophone Literature and Media at Rheinische Friedrich-Wilhelms-Universität, Bonn, which runs on the 24-5 September. The talk is provisionally titled “A Formula of Fear: Hollywood’s Return to Romanticism”. 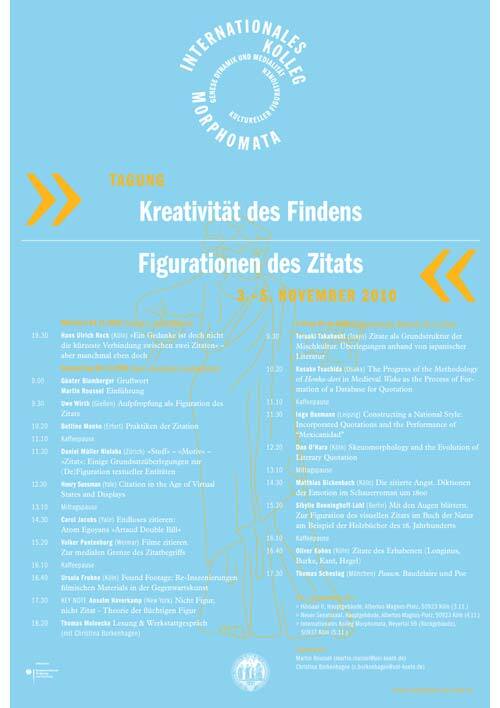 On the 4-6th November, I’ll be talking about “Skeuomorphology and the Evolution of Literary Quotation”, here at the Universität zu Köln, at the Morphomata Kolleg event provisionally called ‘Creativity of Finding: Figurations of the Quotation’ [no programme yet]. 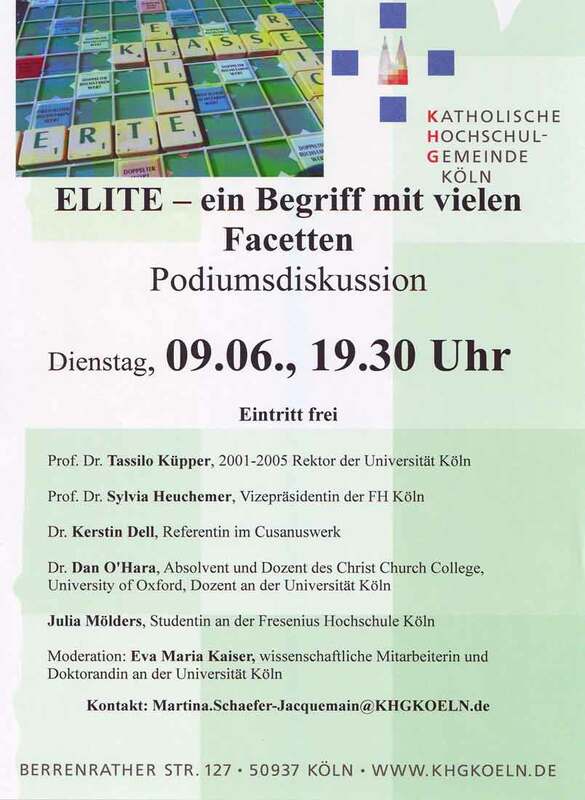 On the 9th of June there’ll be a round table discussion about the concept of elitism in education in Germany. With Prof. Dr. Tassilo Küpper, the Rektor of Cologne Uni from 2001 to 2005, Prof. Dr. Sylvia Heuchemer, the Vice-Rektor of Cologne Fachhochschule, Dr. Kerstin Dell of the Cusanuswerk (a foundation which provides doctoral funding and support for Catholics in Germany), and Julia Mölders, student at the private Fresenius University of Applied Sciences, I’ll be debating the advantages and disadvantages of meritocratic educational systems. More details here. As of Wednesday the 14th I’ll be based at the University of Cologne, teaching mainly American Literature. More details, including work contact address and numbers, can be found at my section of the Köln website. On the 1st of February I’ll be once again at the University of Cologne. The lecture will deal with the difficulty in diffentiating between abstract machines as components of the virtual, and machinic assemblages as components of the actual. How can we perceive abstract machines, if they exist only as virtual diagrams? By looking at some examples of machinic assemblages in art, literature, and psychiatry, I’ll present a technique whereby we can analyse the relation of these assemblages to their abstract machines. The job of measuring the degree to which any assemblage is actualized or virtualized is what Deleuze calls schizoanalysis. I’ll be suggesting a way in which we can schizoanalyse all artefacts, whether they be artistic, literary, or technological. From the 14th to the 18th of December there’s a series of lectures and seminars at the University of Cologne, all dealing with Deleuze. 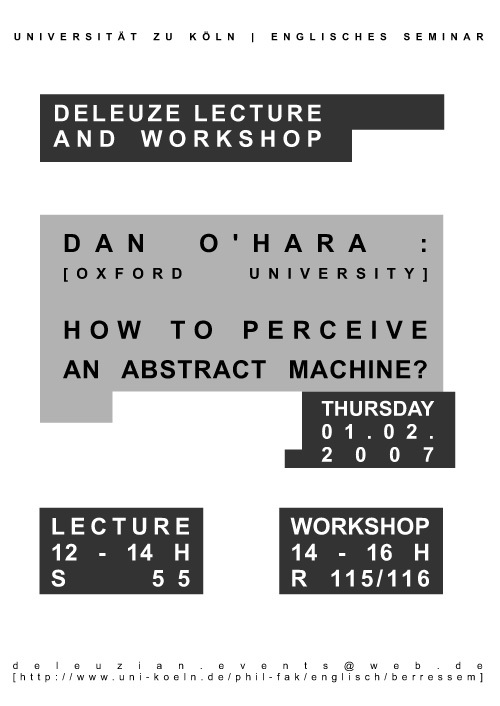 On the 14th I’ll be giving a lecture about the various types of abstract machine to be found in fiction and non-fiction. 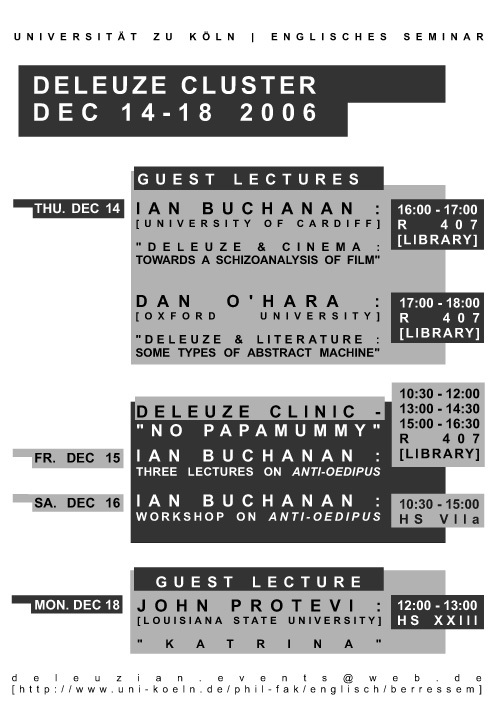 The other lectures are by Ian Buchanan, who’ll be talking about Deleuze and Cinema, and also running a lecture series and workshop on Anti-Oedipus, and John Protevi, who’ll be talking about Katrina (the hurricane). More details on the poster above.